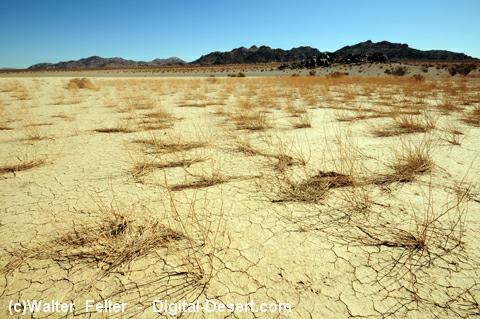 A dry lake, 3 miles long located in the Upper Johnson Valley. An escarpment from the 1992 Landers earthquake on the road leading to the lake shows a 20 foot maximum displacement of slippage along the 45 mile fault. The area is included in plans for the expansion of the Twentynine Palms Marine Corps Base.